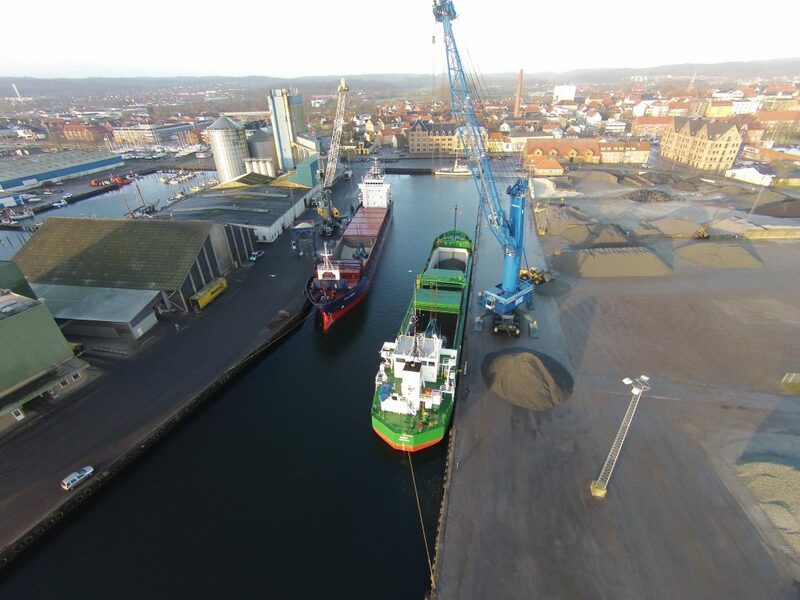 The Port of Aabenraa can offer all the facilities that characterise an efficient commercial harbour, and the harbour is an excellent starting point for favourable transport and logistics solutions in northern Europe and the Baltic Sea region. The harbour also has efficient handling equipment, including three high-capacity mobile harbour cranes that enable items of up to 240 tonnes to be handled in tandem. Furthermore, the Port of Aabenraa also owns loaders, a discharge hopper and a workshop for the repair of its own plant and fleet of vehicles. We serve a large portion of the business community in southern Denmark and northern Germany and we focus our products and services on the needs of our customers.